Chicago’s magickal theatre troupe Terra Mysterium presents the second year of A Midwinter Mummer’s Tale. Their adaptation of Charles Dickens’ A Christmas Carol previews on December 8 and runs through December 18, 2016, at Collaboraction in Wicker Park. Once upon a time, in the Magical Land of Cheese, an enterprising young convention decided to hold its second gathering of steampunks. They summoned the retrofuturists from near and far and enchanted them. They became their favorite fairly tales! Lord Bobbins, Prime Minister of the United Kingdom, presents the fourth annual TeslaCon. This year it runs October 31 through November 3. The suspicious Baton Faction may be lurking, attempting to thwart Bobbin’s aims of steampunk unification. Forget about Terra Mysterium’s post-modern blurring of theatre, technology and consensus reality. Their latest play The Lion & The Serpent is a magickal spell. Although Chicago’s theatre collective Terra Mysterium debuts its new play The Lion & The Serpent, part of the experience premiered on July 15 when Ranty Wilberforce began blogging. 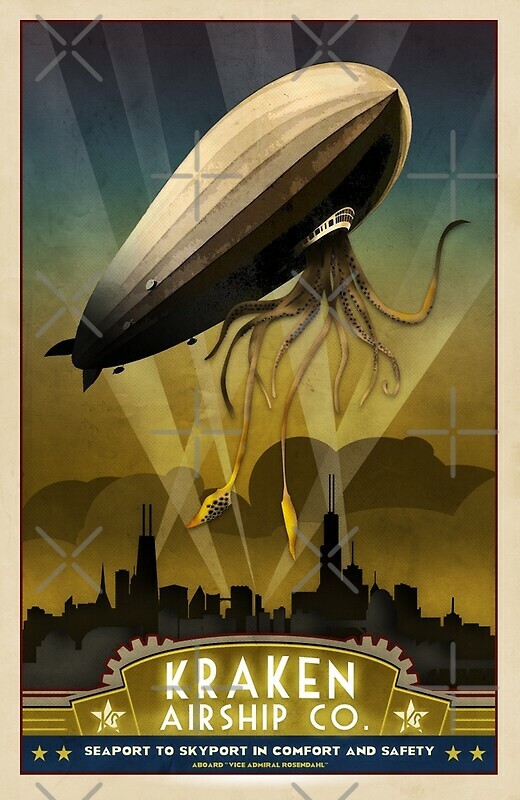 Chicago’s spiritually and steampunk inclined theatre troupe Terra Mysterium has released a video for “In the Observarium.” It’s the title track from one of their latest shows. The performers took time to answer a few questions by e-mail. The adventure and excitement continue next November in 2012 as Lord Bobbins and his crew take you to the edge of your imagination. We launch from South Hampton and go all the way to the lunar surface.